Some movies are crafted by the directors with deep-rooted sensitivity, and Atanu Ghosh’s next Bengali venture “Mayurakshi” seems to be another one in that not so long list. 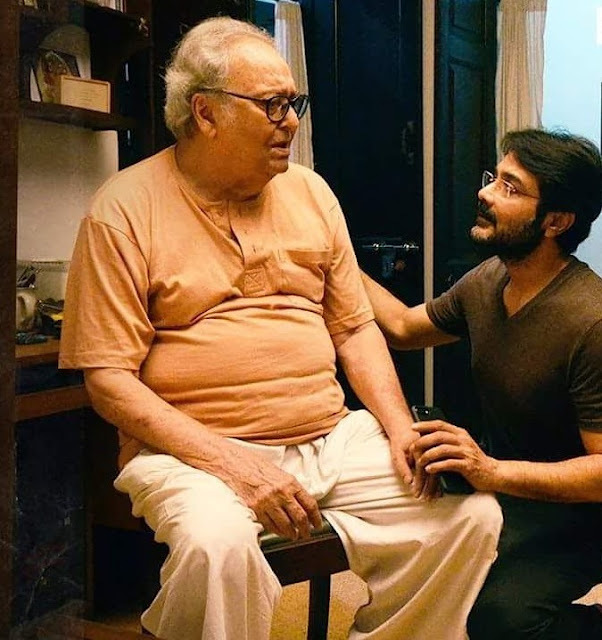 Director Atanu Ghosh has created some award-winning masterpieces like “Rupkatha Noy” and “Ek Phaali Rodh” and handled human psychology in a masterly manner in almost all of his movies.“Mayurakshi” is a sensitive story dealing with the relationship between a father (Soumitra Chatterjee) and his son (Prosenjit Chatterjee) which is echoed with the reality of life that is nothing but a musical score tuned with time. The trailer contains some beautiful scenes blended with few intriguing dialogues those stimulate our thought process. Life is nothing but a quest for the ultimate destination where peace exists. And the flow of life continues till we reach our destination. “Mayurakshi” will hit the theatres on 29th December.